Sit down, grab a drink and relax as you enjoy the 2018 next@acer global press conference in New York and be amongst the first to discover Acer’s latest product lineup. All you have to do to be in with a chance to win an amazingly light Swift 5 is Sign-In/Sign-Up to Acer ID and answer three simple questions.1 To learn more about Acer ID membership, click here. 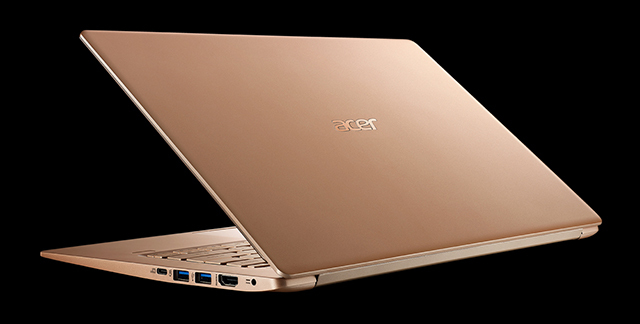 This Sweepstake will be open right after our Keynote Speech at next@acer event and last for 72 hours only! (Opens at 12:01pm EDT (UTC-4) on May 23, 2018 and ends at 12:00pm EDT (UTC-4) on May 26, 2018). Winners will be notified by their registered email address within 30 days of the competition ending. ** Technical specifications (including processor, disk storage, memory and device color, etc.) of each awarded prize may vary depending on the availability of the prize model in the winner’s country of residence.